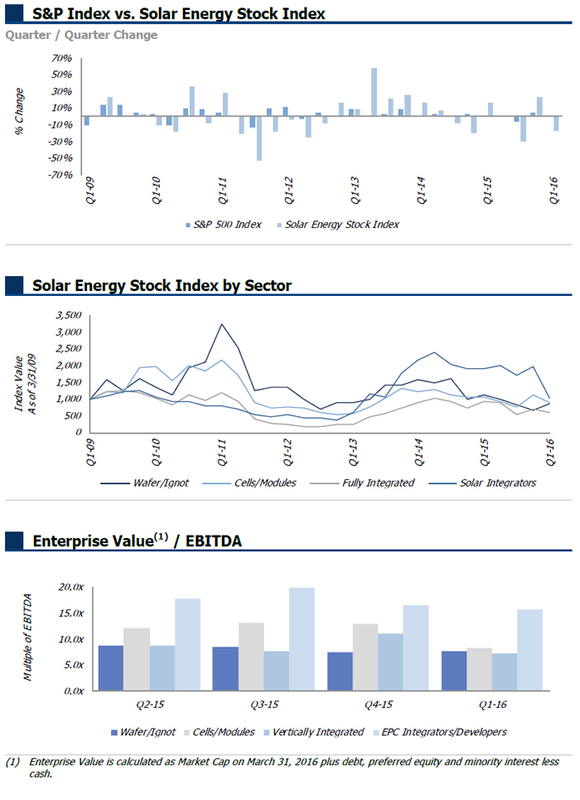 Similar to the S&P 500 Index, the Solar Stock Index is a market cap weighted composite index. 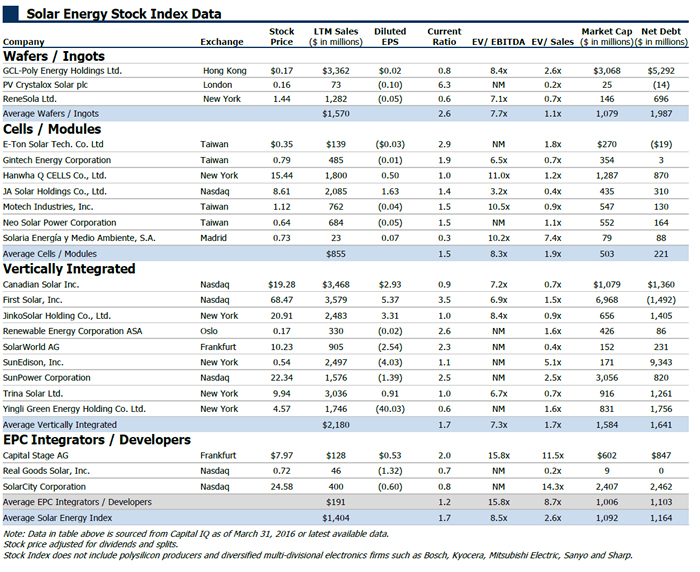 The index is prepared by first selecting a base period, in this case, Q1 2009, and totaling the market caps of the companies in each sector in this period. This period and total market cap is set to a base index, in this case, 1000. Next, for each sector, the current period’s total market cap is calculated, divided by the base period’s total market cap and then multiplied by the base index (1000). The result is the index value used for plotting in the graph. Lincoln International specializes in merger and acquisition advisory services, debt advisory services, private capital raising and restructuring advice on mid-market transactions. Lincoln International also provides fairness opinions, valuations and pension advisory services on a wide range of transaction sizes. With sixteen offices in the Americas, Asia and Europe, Lincoln International has strong local knowledge and contacts in key global economies. The firm provides clients with senior-level attention, in-depth industry expertise and integrated resources. By being focused and independent, Lincoln International serves its clients without conflicts of interest. More information about Lincoln International can be obtained at www.lincolninternational.com. Lincoln International’s Renewable Energy Group is led by a former CEO of a public company. The firm’s Renewable Energy team provides transactional, financial and strategic advisory services to renewable energy companies and private equity groups.